“Enabling maximum account security prevents the account from being accessed from any computers other than those you explicitly authorize,” says one of Steam’s new localisation strings. Steam Guard will be able to identify a computer using software only; this will be inherently less secure than hardware identification but better than nothing. The system that already prevents stored login details being copied to different computers will presumably be used. But only when Steam Guard is running in software mode. Sensibly, the weak point of authorising other computers (given the dependence on email account integrity that it entails) is disabled when hardware identification is active. There is no word yet on what will happen should your CPU explode when your account is in hardware mode, but the process will surely bear similarities to recovering a lost password. This is odd. The full quote is “available to third parties to incorporate into their own applications through Steamworks,” but why would anyone want to re-implement what Steam already gives them? I can only speculate that either this is marketing hype (like the utterly redundant CEG), or that Steam is going to start natively supporting limited activations. While Valve have tolerated this in the past, actually offering it as a part of Steamworks — if that is the plan — would be a big step. Notwithstanding the above, enabling Steam Guard on your Steam account is optional. This might seem like an pretty good move by Valve, but there is a bogeyman. Intel’s new tech falls under Trusted Computing: the practice of using purpose-built hardware to ensure that a computer can be trusted to be upholding certain conditions. Most often those are that unauthorised code isn’t running, but in this case it’s that a single, particular CPU is in use. The key is that unlike DRM, which is always grounded in software, a good implementation of Trusted Computing cannot be broken without physical access to the computer (and an electron microscope). The rights and wrongs of this are a matter of personal opinion. But having seen Steam suffer suspicion and even hatred while it was establishing itself I can’t help but be if not quite pro-TC, then anti-anti. It’s certainly clear that Steam Guard will make the world a better place. 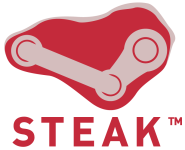 The reason why it may be included in Steamworks could be to have it work with 3rd-party services. For example a game like EVE Online could use the same technology for their game accounts, provided it otherwise uses Steamworks of course. Not sure if this is the best option. 2-step verification like Google or Facebook use would probably be a better option (and hardware independent). PS. Also, yay for a new blog post! Uh, just noticed it’s a march 4th post. It only showed up on my feed now. Weird. Oh well. Where can l get the special access code. I have sen6t messages to steam and got a big fat nothing for my troubles. All l can say if they try and talk about how their support section is going l will make it my life’s work to tell people not to use it and to see if the really need steam at all. one angry mother (over $100.00 for a game and l cant even load past the steam special access code.